Class B compressed aluminum 1350-H19 meeting the requirements of ASTM B231. The insulation is extruded lead-free Cross-linked Polyethylene (XLPE). The phase conductors are black, and the neutral conductor is black, identified by three extruded yellow stripes. Underground secondary distribution cables are suitable for direct burial or installations in ducts and are resistant to abrasion, impact and sunlight. This cable is also suitable for non-code-complying installations with a maximum conductor temperature of 90°C in wet or dry locations. 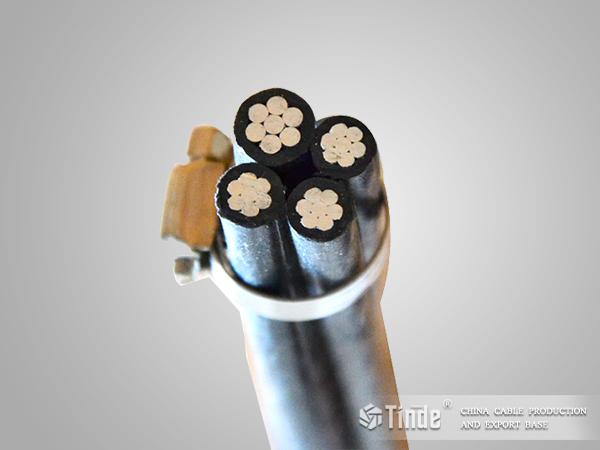 Underground secondary distribution cable is intended for use in underground systems operated at 600 volts or less.